Instant ramen is a beautiful thing, as long as you take it for what it is. Where else can you get dog-level dependability for goldfish prices? As to whether it's healthy, per se, that's beside the point. Instant ramen tastes good enough to eat and seems to do an OK job keeping us alive, and we should be grateful for that. But sometimes you want to be more than just "kept alive." Sometimes you want to chop some stuff up and enjoy color beyond several shades of beige. 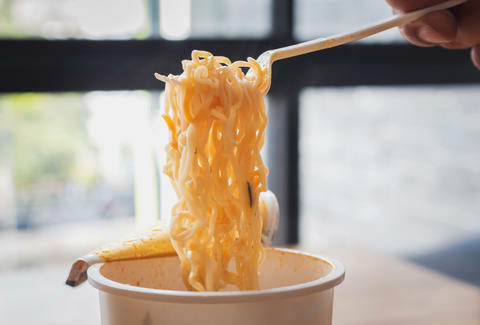 If that's how you're feeling, check out of this list of Redditors' budget strategies, with noodle hacks from ramen regulars and even an ex-convict's recipe for "jailhouse jambalaya." After you graduate from those recipes, check out these tips from a legendary ramen chef to see how a pro approaches it. Comment from discussion Reddit, what do you add in Ramen to make it taste better?. Probably skip these dishes if you're trying to impress a date, but they certainly beat those grainy spice packets.